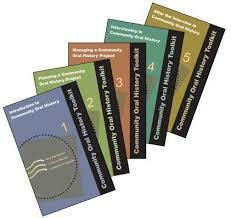 This five-volume set is the definitive guide to all aspects of conducting successful community oral history projects that conform to best practices in the field. What are the fundamental principles that make one oral history project fly and another falter? Community Oral History Toolkit examines theoretical foundations for oral history practice and offers applicable tools and guidelines that you can mold to your project’s specific needs. The wealth of existing literature on oral history methodology is designed for academic research; the Toolkit, however, is specifically geared toward community groups unaffiliated with large institutions such as universities. Volumes include an introduction to community oral history, planning and managing community oral history projects, interviewing subjects, and processing the interviews. Volumes in the set are also available separately. Mary Kay Quinlan and Barbara Sommer, coauthors of The Oral History Manual (Lanham, MD: AltaMira Press, 2002), have joined Nancy MacKay, author of Curating Oral Histories: From Interview to Archive (Walnut Creek, CA: Left Coast Press, 2006) to produce Community Oral History Toolkit. This work encompasses five slim volumes in which the authors set out to equip community history groups with the tools they need to plan, manage, conduct, maintain, and preserve an oral history project. The coauthors have augmented the wealth of experience they themselves bring to the task with both a mastery of the relevant literature and surveys of practicing oral historians. Volume One: Introduction to Community Oral History provides an introduction to the series, foundational definitions of both oral history andcommunity, and an unsatisfyingly brief overview of the study of history and oral history’s place within it. More helpful, perhaps, is the ten-item list of “Best Practices for Community Oral History Projects”; the best practices are explored in detail in chapter 7, and the list reappears in each of the subsequent four volumes. Readers will also find brief treatments of recording technologies, ethical considerations, and preservation and secondary use of oral histories. Readers begin to delve into the nitty-gritty in Volume Two: Planning a Community Oral History Project. Here they will discover chapters on first steps toward initiating an oral history project, designing the project, planning for people and equipment, budgeting and funding sources, and planning for processing and training. Volume 2 also establishes three fictitious sample projects—a small, all-volunteer neighborhood project; a grant-funded project developed in partnership with a city; and a pilot project for a historical society—that serve as examples throughout this and subsequent volumes in the series. Volume Three: Managing a Community Oral History Project revisits many of the topics addressed in volume 2, with a shift in focus from planning to management. The reappearance of sections on legal and ethical guidelines, budgets and funding, equipment and staff feel repetitive, and may leave users of these handbooks somewhat unclear on which volume to pull off the shelf when they are trying to find a quick answer to a question on one of these subjects. An organizational scheme driven by topic rather than by project stage could have resulted in less repetition, but would perhaps have run counter to the authors’ vision for the series. Volume Four: Interviewing in Community Oral History features chapters on understanding oral history interviews, the ethical dimensions of preparing for, conducting, and processing interviews, and necessary steps before, during, and after the interview. Volume Five: After the Interview in Community Oral History tackles in more detail the tasks that remain after the interview is done—processing, transcribing, editing, cataloging, preserving, and using oral histories. Throughout all five volumes, pithy bits of advice, like “Oral history practitioners focus on the past, work in the present, and plan for the future,” or “Be prepared to troubleshoot everything,” are set off in boldface on many pages. Lengthier passages with handy checklists or relevant quotes and anecdotes from survey responses appear in boxes on other pages. Where the Community Oral History Toolkit really lives up to its name is in the appendix to volume 1, which offers a comprehensive set of sample forms for planning and managing an oral history project. Templates for these forms are available for download in both Microsoft Word and PDF file formats at http://www.lcoastpress.com. While each community group tackling an oral history project for the first time would clearly need to customize these forms for its own purposes, they nonetheless provide a tremendous head start. Included are samples of legal releases, deeds of gift, and agreements with interviewers, transcribers, and other volunteers, as well as forms to manage processing and cataloging. All five volumes are carefully indexed, enhancing their usefulness, and pointers to further reading in each direct readers to books and articles that can help flesh out the sometimes skeletal treatment of the topics covered within each volume. Volume 1’s glossary and list of resources are likewise of great value to the oral history neophyte. With the Community Oral History Toolkit, Quinlan, Sommer, and MacKay have rendered a significant service to organizations making their first foray into oral history. More seasoned organizations may still find much of value in these five handbooks, as they offer inspiration for improving or streamlining one’s approach to planning and managing new and existing projects. Oxford Journals, Arts & Humanities, The Oral History Review, Volume 42, Issue 2, Pp. 382-383.
institutions with which they can consult. from the first planning stages through the interview and post-interview process. are a bit repetitious at times, as the themes tend to overlap in each volume. team needs to keep track of all aspects of the project. planning forms for the management team. handle public relations for the project. catalog and preservation terms for groups unfamiliar with archival practices. theater, tours, and museum exhibits. project from its inception to the end as they are about obtaining information. for small organizations that do not have many resources available to them.